> Industry Trends, IT Case Study, Pro Reviews > What Makes a Good Drone for Realty Marketing? In addition to flybys, real estate pros use drones in home inspections as well. 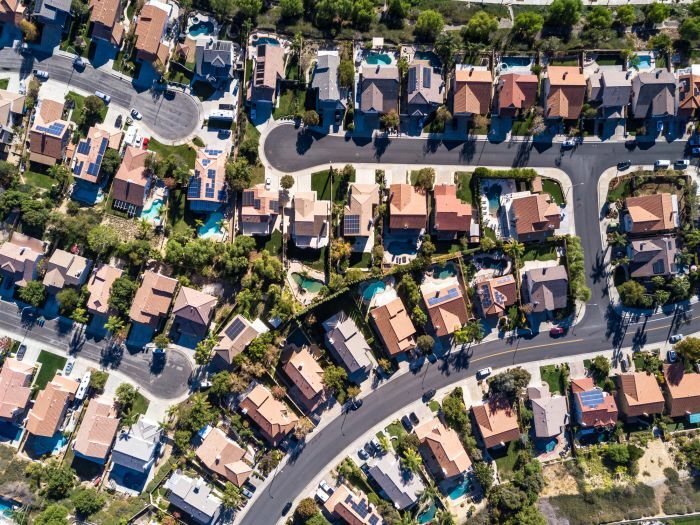 UAVs provide an eye in the sky (or the ceiling) for a look at a roof, or other high-up indoor areas like HVAC ducts, plumbing lines, cable drops, and other hard to reach areas. Recently the US Court of Appeals deregulated drone piloting for hobbyists. Technically, if you’re flying in a business capacity, pilots remain bound by FCC licensing rules for drones enacted in June 2016. Register as a drone pilot with the FAA, then practice until you’re proficient enough to fly a UAV over a parcel of land: you’re ready for basic real estate drone work after that. “Fly smart. Knowing the rules is basic professionalism you have to bring to the job,” Dillard adds. The FAA has a quick one-pager on commercial drone flying rules if you’re not familiar. Newer consumer level UAVs (basically any drone under $1000 for our intents) are capable of flying and filming in a professional capacity. Prices for so-called commercial drones usually exceed $3,000, so pilots may opt to fly cheap drones and get the job done spending less. The DJI Spark, for example, is marketed for filming fun times with friends and family. It films in full HD from a mechanical gimbal, has GPS onboard, and a range close to 100 ft. Not bad for a half-pound drone. The low spark of high-performance drones. See more DJI Spark specs & images. Since we’re the “for-business” arm of Newegg, we wanted to find out if Spark can do the job for real estate. We had Capt. Dillard give the Spark a test fly in the parking lot here at Newegg, noted his observations, and answered questions from the perspective of a real estate drone pilot. Ideally, what do you want from your aerial realty footage? Seamless edits are important for the film. You want your aerial angles that match ground footage, so your drone camera should be the same quality as your ground camera. The exterior shots you’re getting with your drone has to match resolution of your ground footage. When you give the sky perspective of the property, it gives customers a sense of what’s around them, a sense of your immediate community. Is DJI Spark, or other drones under $700 like it, a fit for real estate drone piloting? Not quite. The Spark camera lens and the operational agility can do pro-grade film capture, but battery life limitations and short range will limit you. However, as a secondary aircraft, its compact build, lens power, and fine control (use RC, not the phone app) will work for quick inspection flights. The prop guards are great for peeking in tight places with your drone camera. What hardware specifications make a good drone for filming aerial realty footage? You’re looking to get 20-25 minutes of airtime. It should be able to withstand gusts of wind, so something over one pound works better outdoors. Get the best camera available, a good 4K is standard today. RC controls are critical when piloting at least 400 ft. from yourself. Something like DJI Mavik ($1,000) is more accustomed to real estate drone demands. Want the next level? A pricier commercial-grade drone, DJI Inspire ($3,300), carries a heavier payload (a bigger Zenmure camera) with a dynamic lens users have more control over. If you’re going to fly a drone professionally in a different setting, where might Spark show the most value? If you’re documenting an event in a promotional capacity, the Spark serves marketers well. The short battery life (7 or 8 minutes) poses limitations, so again, using a smaller drone works best in tandem with other cameras. It’s a secondary tool. The upside is all about the quick deploy. For scientific observation in nature, a fast launch and compact stowaway are ideal for fieldwork. What’s the difference between buying a drone on Newegg vs NeweggBusiness? Here’s the industry-wide TL;DR. If you’re a company, buying with an IT business account grants Net 30 terms, plus access to Account Executives that may provide sourcing options not shown online. There are other privileges connected with a NeweggBusiness account as well; those two stand out for someone who is considering purchasing a drone for a real estate company. Drones flown by real estate companies capture aerial footage to make attractive marketing videos for the property that they're selling. Will consumer drones like DJI Spark do the job?